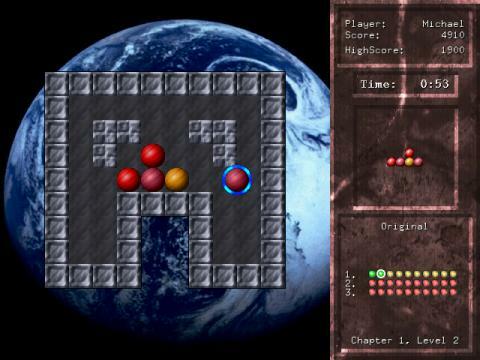 LMarbles is an Atomix clone with a slight change in concept. Instead of assembling molecules you create figures out of marbles. Nevertheless, the basic game play is the same: If a marble starts to move it will not stop until it hits a wall or another marble. To make it more interesting there are obstacles like one-way streets, crumbling walls and portals. Other/better port might be coming by daniel3000. Apparently we were working at the same game.